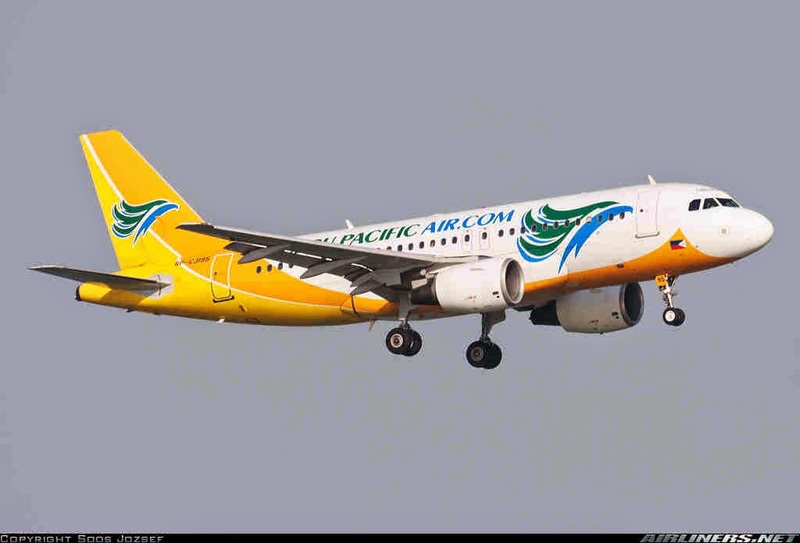 Aviation Updates Philippines - The Philippines' largest low-cost carrier, Cebu Pacific Air, will launch flights between Cebu and Tokyo to strengthen its Cebu hub starting March 26, 2015. Flights between Cebu and Tokyo will be operated by a 179-seat Airbus A320-200. Cebu Pacific Air's newest service departs Cebu every Tuesday, Thursday, Saturday and Sunday at 5:55 am. The flights arrives in Tokyo at 11:20 am. The return flight departs Tokyo at 12:05 pm, and arrives back in Cebu at 4:25 am. This service aims to increases Japanese arrivals into the Philippines. 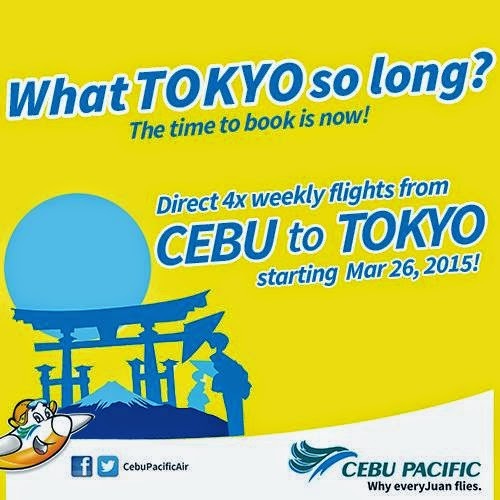 Lowest fares for the Cebu-Tokyo route start at PHP2,488, for travel from March 26 to May 31, 2015. As the only low-cost carrier operating this route, fares between Cebu and Tokyo are up to 60% lower compared to other airlines. "Cebu Pacific has a good track record of stimulating travel because of its low fares and network. With this direct access to Cebu, we hope more Japanese tourists will visit the Philippines, just in time for the Visit the Philippines Year 2015," Cebu Pacific Vice President for Marketing and Distribution, Candice Iyog said. Cebu is renowned as an island destination with urban comforts. Given its strategic location in the middle of the Philippines, it can also be a jump-off point to other beach, diving and surfing spots where Cebu Pacific flies to, such as Boracay, Camiguin, Siargao and Palawan (Puerto Princesa). The island of Bohol is also just a ferry away. Recently, Cebu Pacific Air launched direct flights from Manila to Tokyo Narita and Nagoya in March this year. A month after it launched direct flights, the Japan National Tourism Organization indicated that the Philippines was one of its fastest growing source of foreign visitor arrivals. The airline also flies from Manila to Osaka.